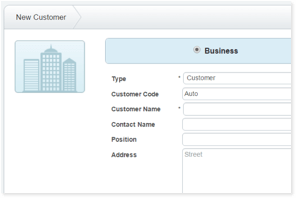 Use Surf Accounts to record all customers, prospects, business and personal contacts. Drilldown into accounts and see invoices, receipts as well as aging. Click to send emails or SMS messages. Easy to update contact information. Add business and personal contacts or find a contact using the search bar or the quick A-Z category selection. 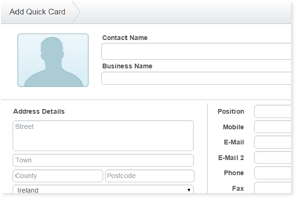 Use the QCard to add simple contact details such as name, company name, mobile number and email. Sales staff can maintain their own diary appointments as well as manage their follow-up activity logs. See all the activity that has occurred with this customer. See any current quotes or orders. See all sub contacts. See everything you need to know about your customer in one place. 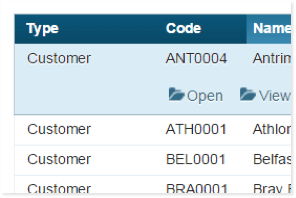 Show all transactions will display the history of the account with all present and past invoices and payments.